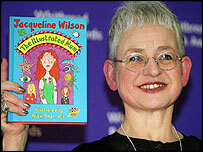 A £6.5m national centre for children's books will be opened on Friday by children's laureate Jacqueline Wilson. Seven Stories in Newcastle will be home to prestigious collections of work by children's authors and illustrators. The centre was created to try to keep original work by British children's authors in the UK, rather than being sold abroad. Its collection includes the original artwork for the first British edition of Charlie and the Chocolate factory. Jacqueline Wilson and Nick Sharratt, the illustrator for much of her work, including the Tracy Beaker books, will formally open the centre and sign 500 copies of their work. As well as collecting children's books and original manuscripts, the centre will encourage children to explore books and to think about how authors and illustrators go about creating their work. Chief Executive of Seven Stories, Mary Briggs, had the idea for the centre ten years ago with bookseller Elizabeth Hammill. They began their project to create the centre by each placing £10 in a bank account. Ms Briggs says she is excited that after so much hard work, the centre is finally going to open. "I do feel an amazing sense of achievement," she said. "We've raised the money and converted this wonderful building, and made a unique centre for children's literature." 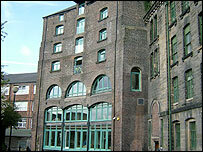 The centre, built from a converted Victorian mill in the Ouseburn Valley, also offers the writers' attic, where authors and illustrators are available to discuss their work. And digital media is available in the Storylab, where children can examine more closely parts of the collection. "There is a coherence to what we offer here, with the opportunity for children to read manuscripts, talk to authors, try their hand at writing and make use of the bookshop," Ms Briggs added. 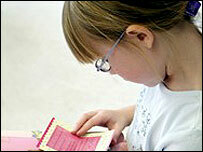 Two galleries house exhibitions which give children access to manuscripts and artwork. The displays are designed in collaboration with authors and are intended to be interactive, posing direct questions of the viewer. The sets of the first exhibition, Incredible Journeys, were designed to take children into the fictional worlds of stories, and to ask what happens when a reader is immersed in a book and how that state is reached. The hope is that as well as developing their literacy, the centre will encourage them to read and be inspired by fiction and motivated to read and write more. "This is about celebrating and promoting children's literature," Mary Briggs said. "We do want to improve children's literacy, but also inspire them and improve their knowledge of reading and books, and not necessarily in an academic way." The centre is based on its growing collection of original work. It contains donations of early work by Philip Pullman and a collection of editions left by Kaye Webb, founder of Puffin Books, bought with the help of the Heritage Lottery Fund, as well as an original Harry Potter manuscript and drawings left by JK Rowling. The collection contains around 100,000 items. The centre aims to bring more such work to public attention and so its collection will continue to grow, Ms Briggs said. "Part of our national heritage was being lost," she said, "partly by being sold abroad, and sometimes because such work was not available to the public, so was simply lost." Seven Stories will house one of the largest independent children's bookshops in the country. Bookshop manager James Kerr said it was important for children to be able to explore the authors and titles they had discovered in exhibitions. "The staff here have specialist knowledge and can advise children and adults," he said. "And the bookshop will of course be making a vital contribution to the future of the centre." Seven Stories was financed by Newcastle City Council and the Arts Council England, and received donations from business and charitable trusts. Children's laureate Jacqueline Wilson, Philip Pullman, Quentin Blake and Monty Python sketchwriter Terry Jones count among its patrons.